TMS Europe provides UKAS accredited calibration services for a wide range of sensors, instruments and equipment both in our laboratory and at our customers’ sites. We offer comprehensive calibration which meets national and international requirements and specifications including ISO/IEC 17025:2005, ISO 9001, AMS 2750E, HTM2010 & HTM2030, FDA and blood storage & handling requirements MHRA, plus many others. Our calibration engineers perform thermal surveys on site to establish the volumetric uniformity and stability of ovens, incubators, furnaces, fridges & freezers. As well as humidity and temperature surveys of environmental chambers and controlled rooms. These can be carried out under our UKAS accreditation or as an in-house traceable service. Our calibration services are split into two categories: nationally and internationally recognised UKAS ISO 17025 accredited calibration and ISO 9001 certified calibration which is traceable to national standards, for non-critical measurements with less stringent requirements. Below is a brief overview of the types of calibration service we offer. View our full UKAS Calibration Schedule for extensive details of our UKAS accredited capabilities. We also have agreements with other UKAS accredited laboratories, for mercury in glass thermometers, force, weight, mechanical, etc. 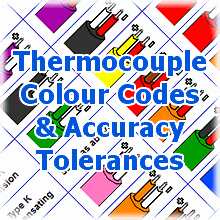 So we can offer a total one-stop comprehensive and competitive calibration service in our laboratory or at your site.